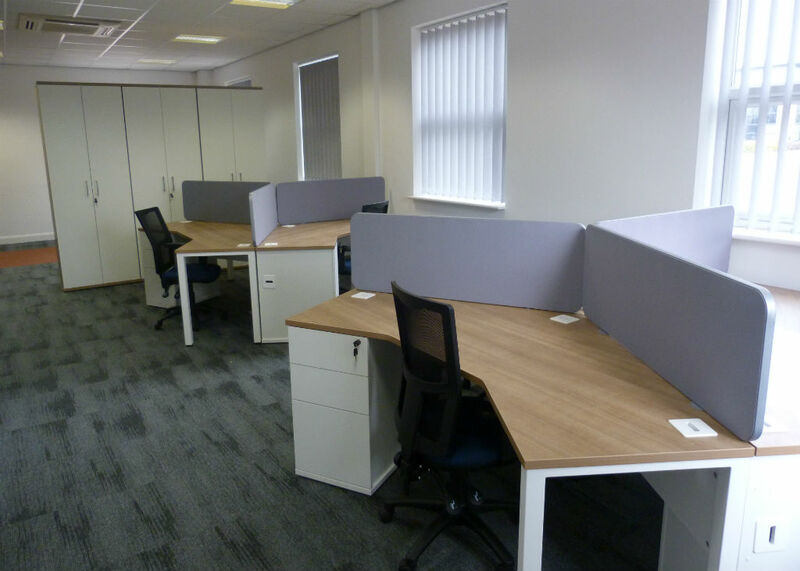 When Agility Logistics in Liverpool were moving offices they approached one of the largest office furniture and fit out companies in the North West, however when costs began to spiral they approached Bevlan and we teamed up with Brown and Bancroft for the fit out and to submit a very competitive quotation which subsequently secured the business. 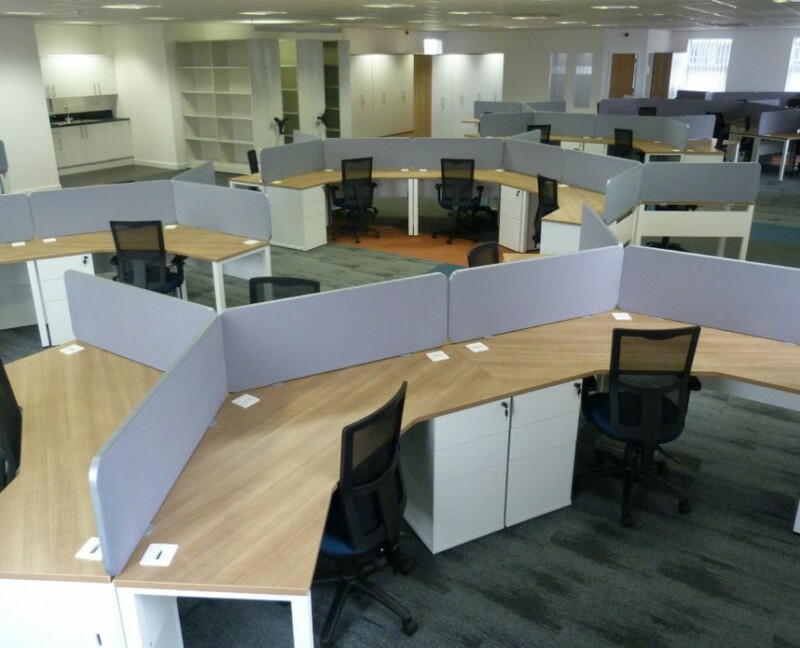 Imperial Pure desks, in Santiago cherry and white, were selected for the office areas. 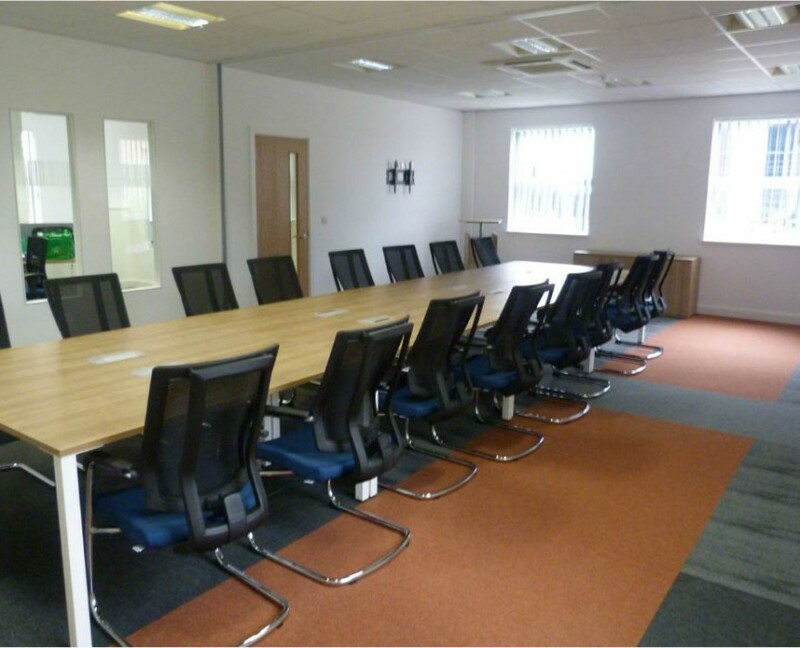 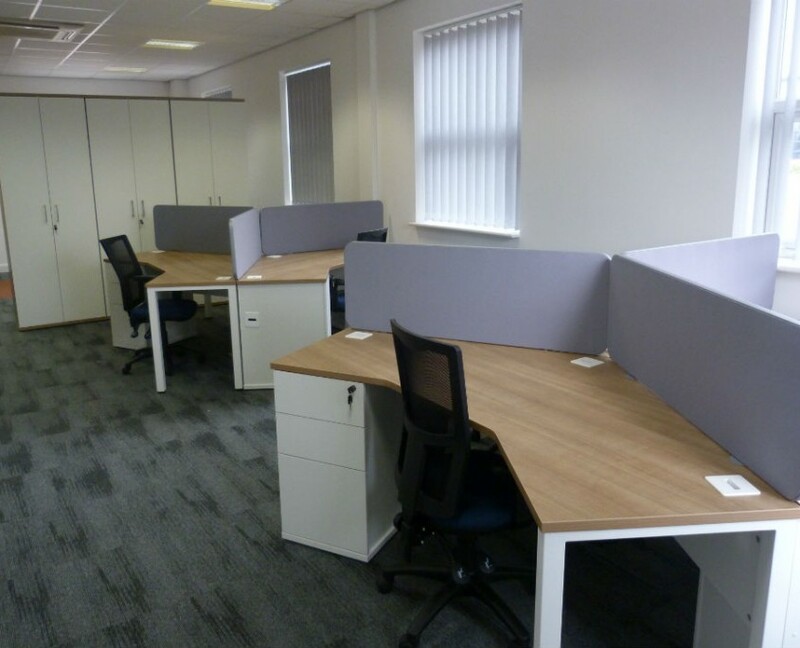 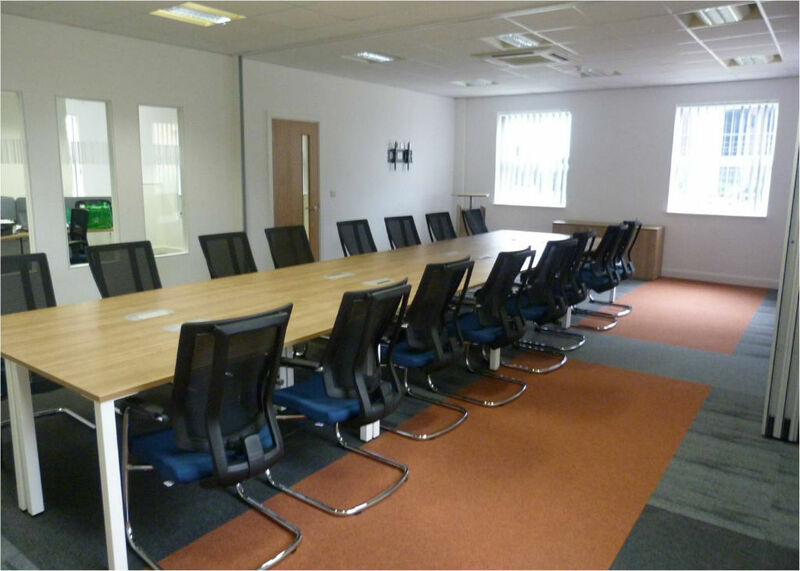 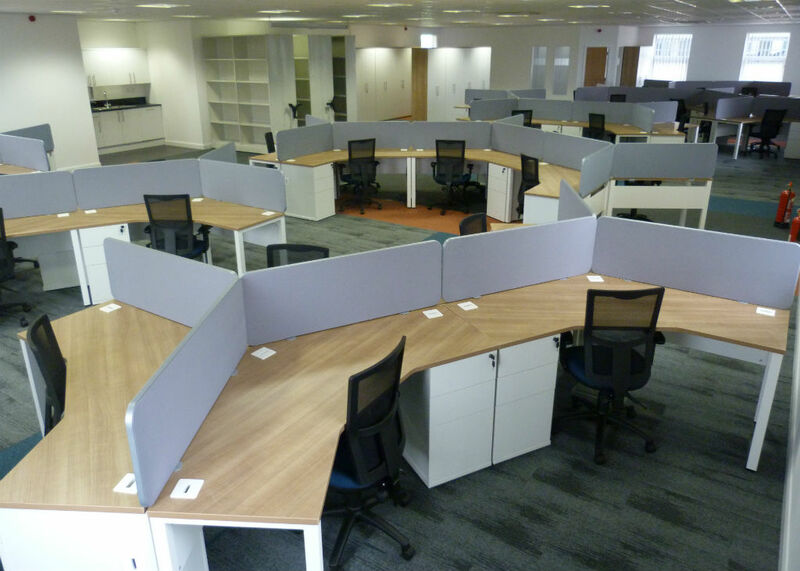 Using 3 way segment desks in the open areas and radial workstations for individual offices with combination pedestals, G7 mesh back chairs with height adjustable arms in blue completed the look. 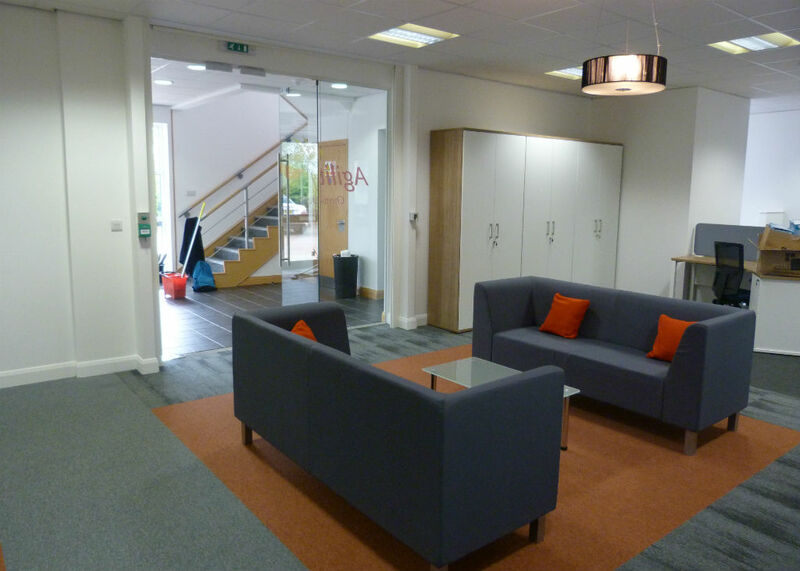 Adding hinged door cupboards with white doors and Santiago cherry carcasses made the storage areas so much more attractive too. 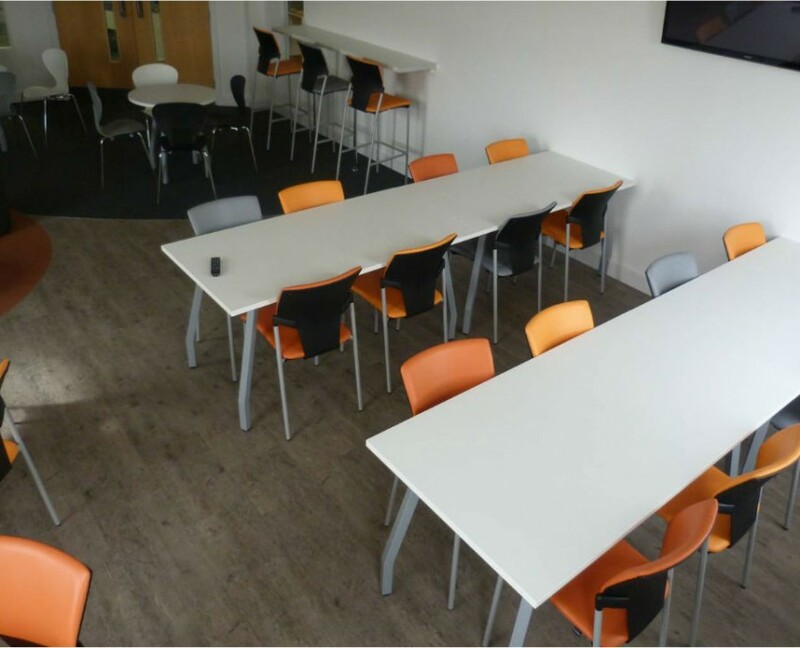 Reunion training tables were used in the meeting / training room, as Agility wanted a reconfigurable solution, along with Negus cantilever chairs for comfort during those long meetings. 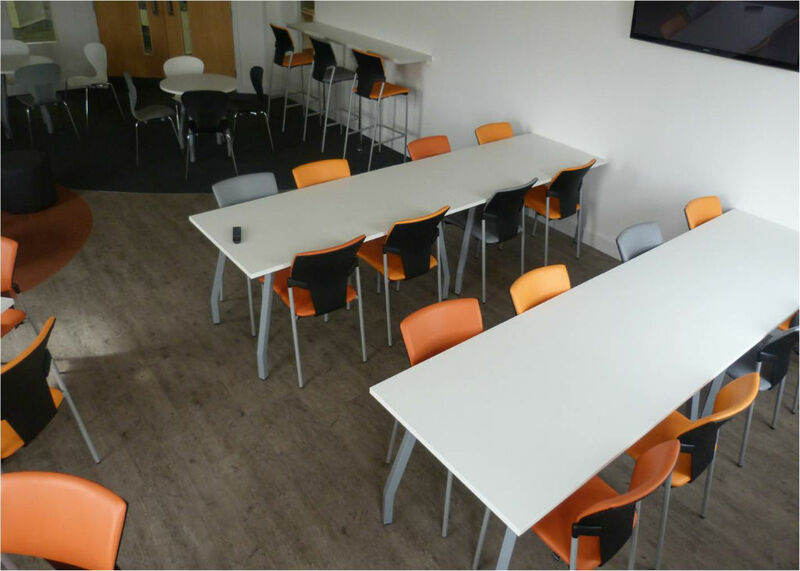 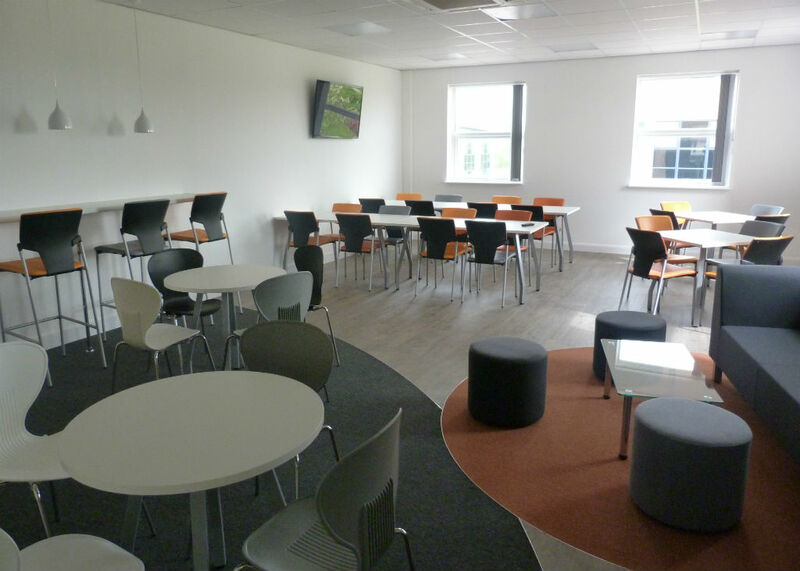 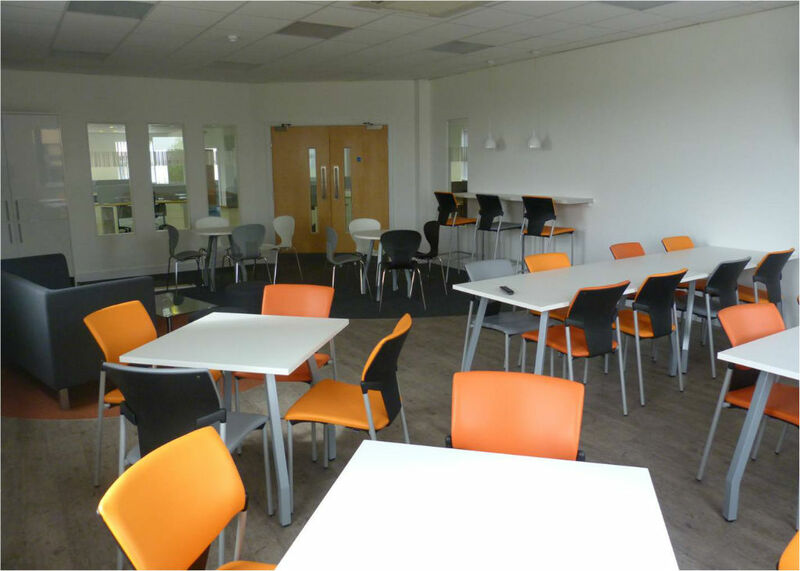 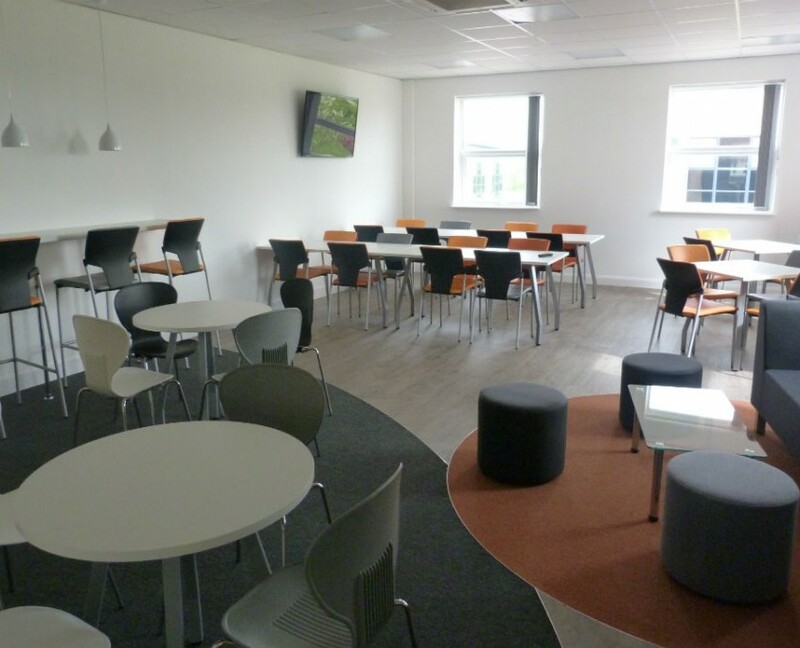 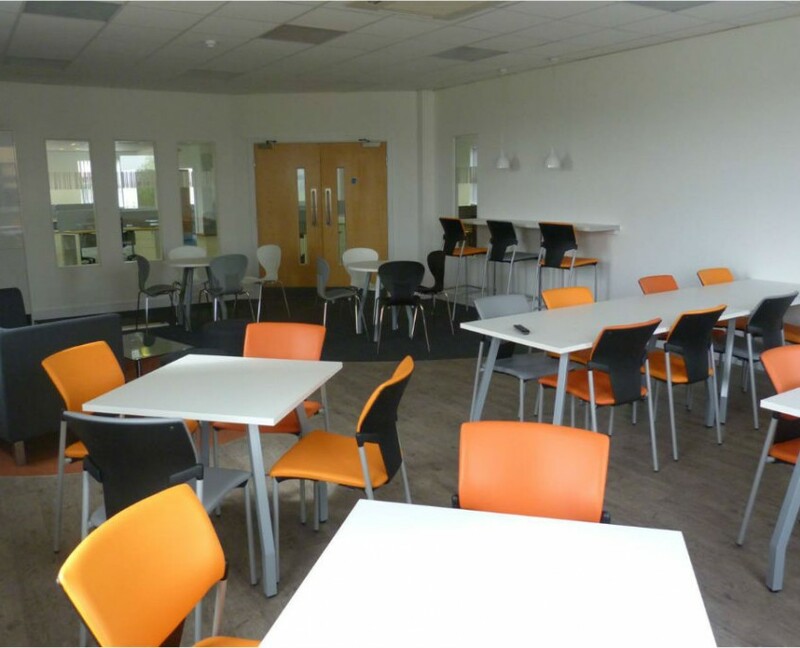 The cafeteria / breakout area looked stunning by using white Script tables with silver legs and Ikon chairs in orange and grey with matching Ikon stools. 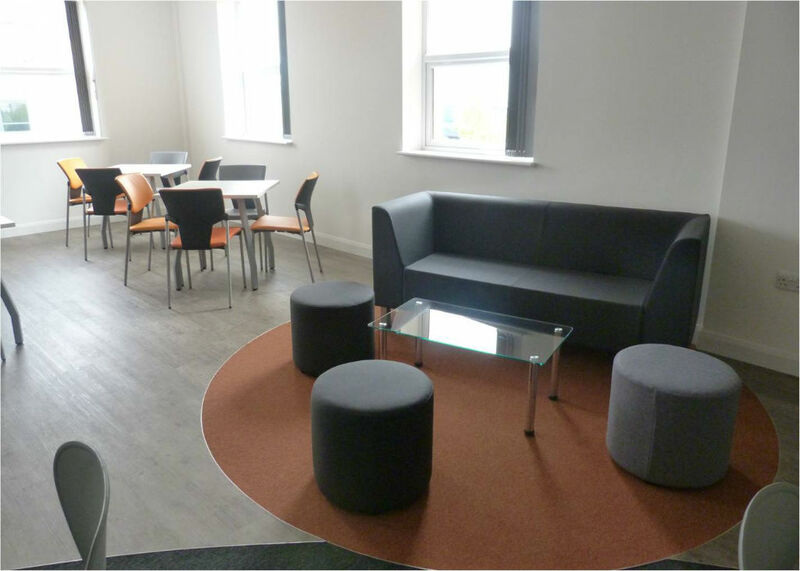 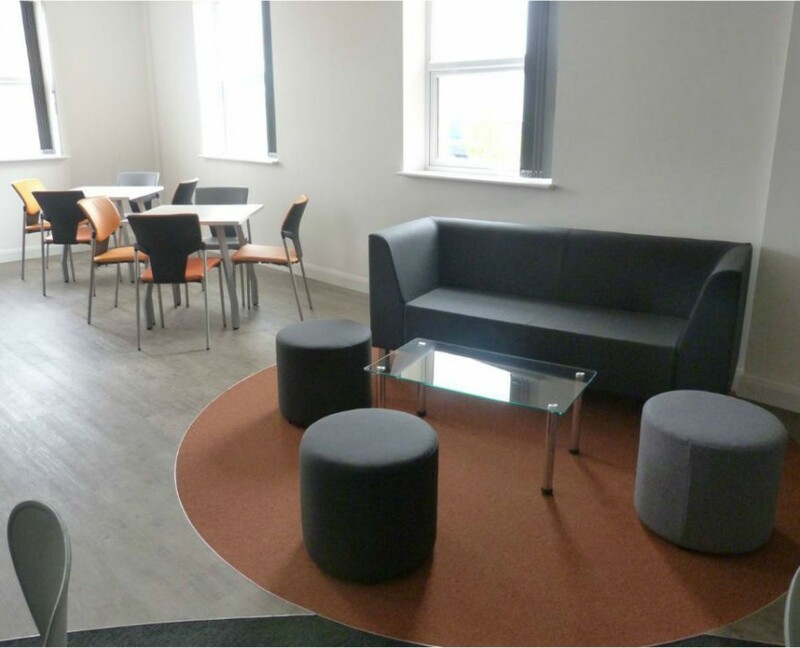 Polypropylene mood chairs were used in black, white and grey to complete the look with a 2 seater sofa added for chilling and reflection.